They'll make businesses' DMs more human and personal. Twitter has truly fully embraced its role as a customer service platform for businesses around the globe. 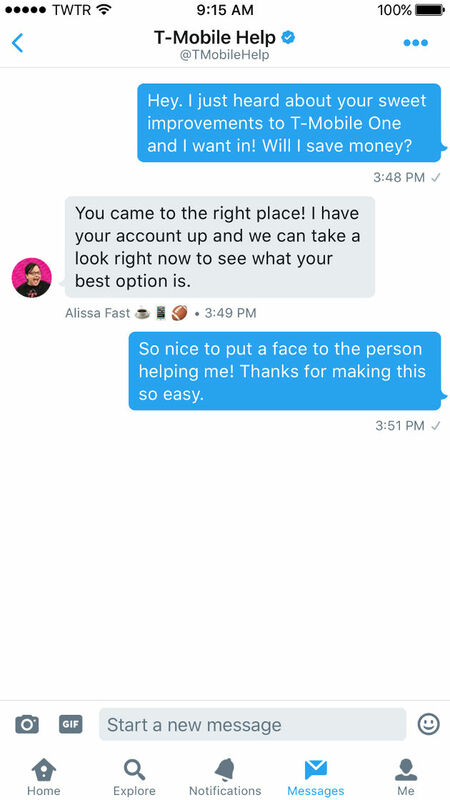 One of the features it's testing in private beta, for instance, is designed to give companies a way to make direct messages a lot more personal. The feature allows businesses to add custom profiles for their CS reps, which display their names, profile photos and their job titles within the direct messaging window. Twitter says that knowing if a human is replying or not helps people manage their expectations on what kind of responses they'll get. According to Twitter's research, 77 percent of people are more likely to recommend a brand when they experience a personalized customer service interaction on the website. Users are more likely to feel like they've reached a resolution for their issue, as well. In addition, since companies can use the feature to differentiate between a human and a bot, it also gives them an opportunity to conjure up chat bots with fun personalities. Only T-Mobile has access to the feature for now. Twitter is accepting requests from interested parties, though, so we'll likely see more companies take advantage of what it can do in the future.